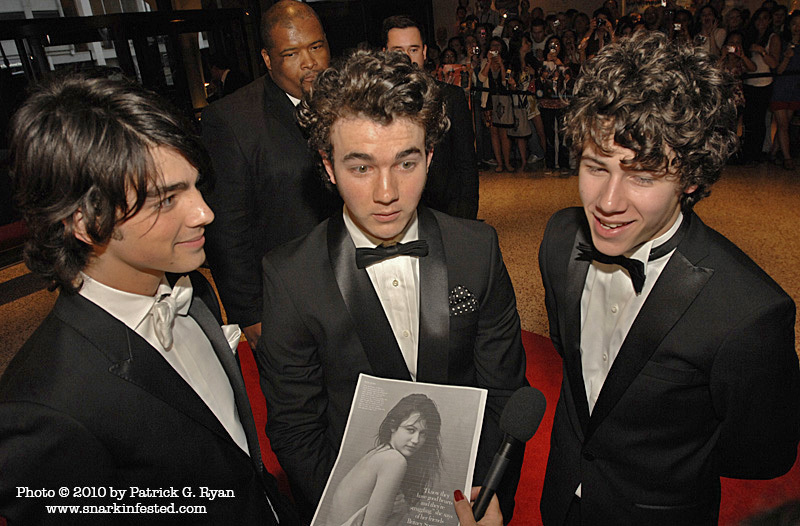 05/01/10 I mentioned The Jonas Brothers in my previous post and it reminded me of an image I took at the Corro Dinner back in 2008. I got this photo by standing behind a crew from Entertainment Tonight as they ambushed the Jonas Bros with an advance copy of Annie Leibovitz’ provocative photo of Miley Cyrus. I remember how shocked they looked before their handler hustled them away without saying anything . . .